Is 2019 the year that you want to boost your research skills? 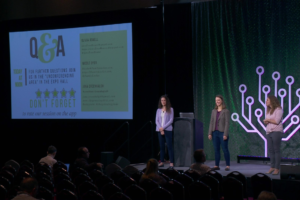 RootsTech 2019 offers multiple classes designed to do just that. I will be teaching classes to help you learn how to use a research log to organize your genealogy and how to use the FamilySearch catalog to discover new records to break brick walls. I hope to see you there! 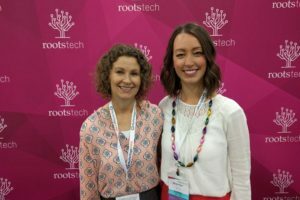 As a RootsTech ambassador, I receive a free pass for myself and one for a FamilyLocket subscriber. No purchase necessary to enter the giveaway. How can you win a free pass? First you’ll need to subscribe to our newsletter (if you haven’t already). When you’ve done one of the above, leave us a comment on this blog post, telling us your biggest research challenge. Do you chase after bright shiny objects? Do you know you should log your research but don’t know how? Are you stymied with how to find records not online? This 4-Day pass DOES NOT include airfare, hotel, or the coverage of any other expenses. If the winner has already registered for RootsTech 2019, the original registration fee will be refunded. -A winner will be drawn randomly from the entries on Saturday, November 3rd and announced on the FamilyLocket Facebook page. We will also contact the winner by email. This contest is now closed, thanks to all who participated! I really struggle with keeping a research log. I’d love to improve my logging skills so my time can be spent more wisely. I have loved listening to your podcasts and think this e-course is great! I am working on my AAS degree in Family History Research right now from BYU-I, but in the past whenever I tried to start doing my genealogy, I felt overwhelmed and didn’t know where to start. I think your book and course are great for people like me who want a methodical approach to improving their family history research! Thanks for all you share on here and on the podcast! My biggest challenge is chasing those bright shiny objects. If I’m researching someone and come across another name in my tree I want to go look at it instead of staying focused on my research question. please count me in for a chance to win the PASS… 2019 will be here soon. I want to win the Roots Tech pass!!!! Thanks! The research like a pro course and book are both fabulous! I have learned so much from them. I would love to win the pass since I had to quit work and go on disability and money is very scarce. I am confident that I am going to get very close to proving the relationship between my second great grandfather and my third great grandfather. The Research Like A Pro steps have renamed me to look at things differently. Now I need to discipline myself and use the research log consistently! One of my biggest challenges is to prove who is my family. In England I have found two families with the same parents names and same children’s names in the same parish. I have been trying to follow both of the families to try and discover who really belongs to my line. It is a crazy fun project. I love your books and podcast. Thanks for your knowledge and inspiration. I hope to be able to attend and especially to learn from your class about Research Logs. I need to be converted to utilizing them all the time and not scrimping on this at all. I am definately guilty of chasing the bride shiny object and want to learn more about using research logs. I know I need to use one but would love more information regarding best practices for it use. I am definately guilty of chasing the brite shiny object in my research and need to improve my research skills. I also want to learn how to keep a research log as I am sure it is another way to improve my research. Please include me in the drawing for the Rootstech pass! One of my biggest struggles right now is writing down and sticking with a research goal to keep me on track to avoid falling down rabbit holes. I want to become accredited yet keep changing my target family and over-extending myself with other projects that rob my time and challenge my focus. Your Facebook page, podcasts, and Research Like A Pro book are wonderful tools that I know can help me overcome these challenges. You are so positive, knowledgeable, and energetic! 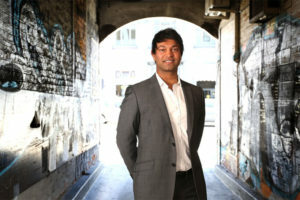 Thanks for taking time to help the rest of us improve our skills! My biggest challenge is being patient with the process when I don’t find what I’m looking for. Some records are so easy to find, but when something isn’t where I think it’s supposed to be I tend to feel more frustrated and annoyed that I probably should. I have to keep reminding myself that even at our slowest we are still able to work a lot more quickly than those who were researching years ago! My biggest challenge is learning to be patient with the process when I don’t find what I’m looking for quickly. Some records are so easy to find that I tend to expect everything to be that way, and I feel frustrated when something isn’t where I think it should be or I can’t find the answer that I want. I’m getting better though; I keep reminding myself that even at our slowest we are able to work a lot faster now than we have ever been able to before. Oops, Sorry for the double comment! I thought the first one didn’t go through so I rewrote it. My biggest challenge is that I get “Tunnel vision” and tend to be so focused on a certain path, I fail to think creatively which makes it difficult for me to break through brickwalls. I know the rules about sticking with it and not jumping around, yet I still tend to get sidetracked when I come across another tangle or question that moves me off my current path. Sometimes all it takes is a ‘hint’ popping up for someone that I don’t recognize and I’m off to see who they are, what kind of shape their records are in and untangling their knots. Otherwise, I do a pretty thorough job of research and error correction. My biggest research challenge is finding the parents of Zacheus Lockwood, who was born in Connecticut in 1800, according to the 1850 U.S. census. Zacheus died in 1852 in Livingston County, Michigan, leaving a widow with six children. He lived in New York previous to moving to Michigan. Sometimes it’s fun to chase BSO’s, but if I really want to make progress, I know it is much better to log all my research results and conduct research according to a formulated research plan. Of course I love online records, but I am comfortable and like to visit archives, courthouses and libraries to find documents about my ancestors. Being fully engaged. I have several great researchers in my family and I find that I often just enjoy the information they have found. I want to learn to become a contributing member of the family tree.. I look forward to RootsTech 2019 to help me with this goal. I am not sure my previous comment posted, so if not, here it is, and if so, please disregard. My biggest brick wall is knowing the parents of my 3rd great grandfather, Zacheus Lockwood, who was supposedly born in Connecticut, according to the 1850 census, where he was living in Livingston County, Michigan. He previously lived in Oswego County, New York, at least in the 1830-1840 time period. He died in Michigan in 1852. I have learned a lot about him in the 18 years I have researched him, but haven’t come across anything to shed light on his siblings or parentage. I have to admit, I do like BSOs at times! But, I know it’s best to follow a research plan and use a log. I know it pays off, especially when dealing with complex research problems. I would love to win a ticket to RootsTech. I have never been. I know how to find records online and love to research in archives, libraries and courthouses.